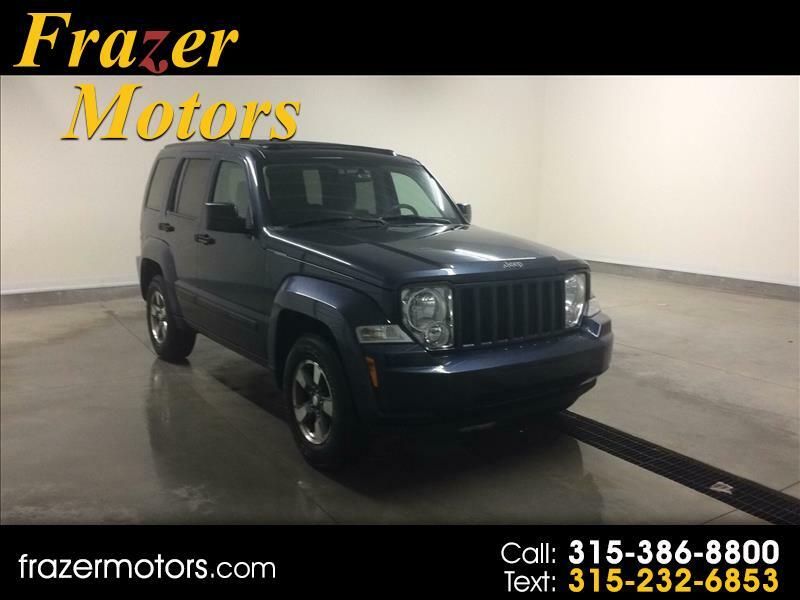 **2008 Jeep Liberty Sport** FOUR WHEEL DRIVE. SUNROOF. BLUETOOTH CAPABILITIES. AUXILIARY PORT. CRUISE CONTROL. ONE OWNER! FREE 3 MONTH SUBSCRIPTION TO SIRIUS XM. Rated 4.3 out of 5 stars on Edmunds.com. The 2008 Jeep Liberty Sport is known for its respectable off road capability, functional cabin, and high towing capacity. Stop in for a test drive today! Here at Frazer Motors we're confident in the quality of our vehicles, which is why each one comes with a FREE 6 Month/6,000 Mile Warranty!